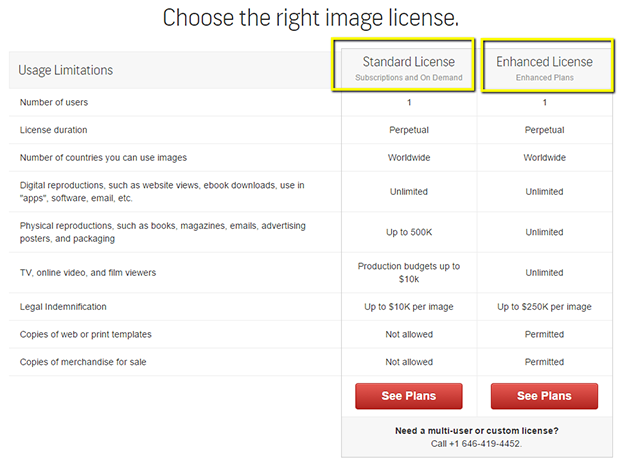 Are Shutterstock subscription plans only available to individual users? Thankfully, Shutterstock also offers a subscription plan for teams and enterprises. It lets numerous users acquire a broader license and experience great personal service. Whether you are a small business, creative agency, or even one of the 500 Fortune companies, the website has the perfect plan for you. Suitable for small teams of not more than ten members, this type of license give your team simultaneous access to one subscription. You can download a total of 1050 images per month or 35 images per day. Another subscription plan that caters to multiple users is Shutterstock premier. This is suitable for enterprises with more than ten team members. This solution is tailored to the image and video needs of your company. It provides unlimited number of users an enhanced and worry-free licensing with full indemnification. It also provides unlimited comps of un-watermarked, full resolution images. Shutterstock Premier also lets you manage your users easily, customize your account set up, and unite your enterprise under a single account. All of your images can be accessed in one space. 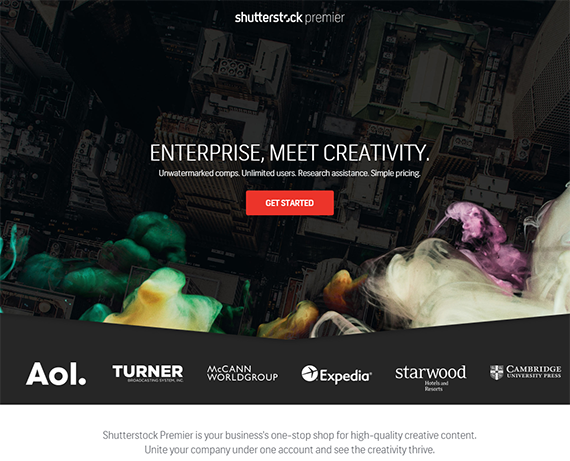 Set your creativity free and run your business well with Shutterstock Premier. Are you ready for the next step? Empower your creative workforce with the above subscription plans and get additional discounts with Shutterstock coupons. Now, achieving the creative needs of your entire team or enterprise is easy with Shutterstock. From inspiring new ideas to finding the right imagery, you will be able to manage collaboration and simplify delivery of creative projects. Work with fine quality imagery right from the start of your creative projects through Shutterstock subscription plans for teams and enterprises. Let your imagination soar with innovative tools and stunning imagery from award-winning photographers in the Offset collection. Shutterstock Premier even provides access to new creative files exclusive to its users. Share and collaborate easily with a small team or enterprise subscription plan and get Shutterstock coupons to free more of your budget to other important expenses. A Shutterstock coupon can be acquired from websites affiliated with Shutterstock, like Stock Photo Secrets. One of the reputable websites to get an active code is stockphotosecrets.com. StockphotoSecrets gives you up to 10% of discounts from the actual cost of your plan. In conclusion, subscription plans for small teams and enterprises add power to the entire creative process of your team members from the beginning of the project to its end. With millions of photos to choose from, you will surely find everything you are looking for. Moreover you can get further discounts through a coupon for Shutterstock. Register to Shutterstock now and inspire your team with business subscription plans.